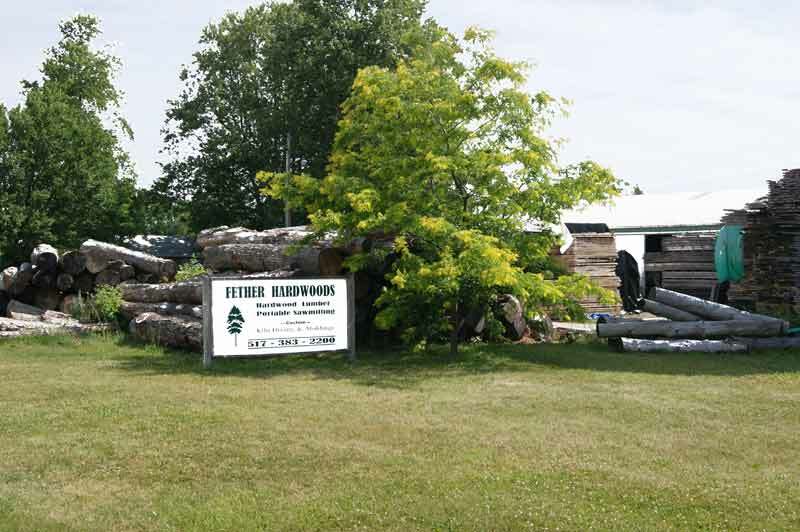 We are a specialty sawmill operation located in Southern Michigan in Hillsdale Couny in some of the best timber in the region. 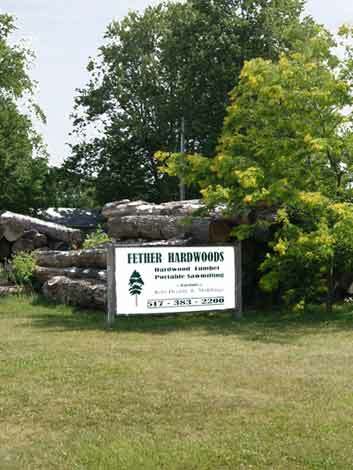 We serve the hardwood lumber needs of not only southern Michigan counties such as Calhoun, Montcalm, Wayne, Washtenaw, Oakland, Jackson, Kalamazoo counties and others, but counties Northwest Ohio and Northeast Indiana regions as well. We specialize in high quality hardwood lumber products including, Live Edge Slabs, Mantles, Carving stock, high quality dimensional hardwood stock, stair treads, window and door trim, base board, crown moldings, handrails. We can produce nearly any product for your special project plans, if we don't have it in stock we can produce it. With an inventory of 50,000 bf of kiln dried stock available, and we are continuosly proccesing material. Contact us on-line or give us a call to speak about your lumber needs. Custom sawmilling at our location with our Cook bandsaw. Slabbing Capabilities for large slabs or timbers. We are a buyer standing timber and also have a large large variety of species and sizes of logs available to saw out for your special needs. Custom sawn lumber Live edge slabs Mantles Trailer decking Construction lumber Side boards for dump trucks, Any wood you need for construction sites Fence lumber Trim and Moldings Decorative beams and lumber for your interior or exterior projects Structural beams forTimber Frames Log slices "cookies" for wedding and table center pieces. Whatever your sawmill service needs are, we can to help accomplish them!